Juste Un Mouvement, 2018 Video HD, 45 min. Brussels-based artist Vincent Meessen (Baltimore, United States, 1971) has been developing work at the crossroads of visual art and research for fifteen years now. By reinvigorating long-forgotten signs, images and accounts, his works offer a poetic and polemic turn to History the way it is written. Using various media, ranging from the moving image to print, sound and archival documents, Meessen puts history to the test of the present. At the 56th Venice Biennale in 2015, Meessen represented Belgium with Personne et les autres (No-one and the others). 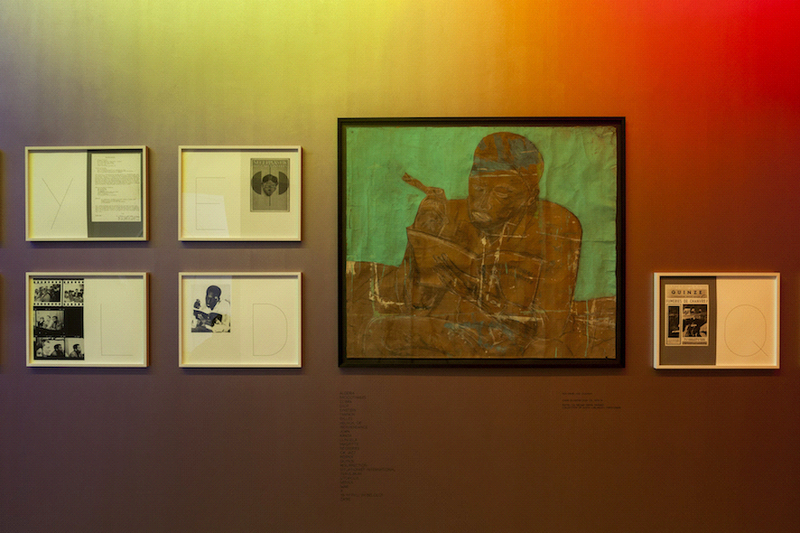 With twelve guest artists from four continents, the exhibition critically harnessed just as many narratives, encounters, and forms that opposed the rigid matrix of colonial modernity – physically or mentally, in imagination, in revolution, or in reciprocity. Omar en mai ('Omar in May') bears a direct relationship with the critically acclaimed Belgian Pavilion. Indeed, it boasts a film version of One.Two.Three, the audiovisual work presented in Venice and recently acquired by the Centre National des Arts Plastiques (CNAP). It focuses on the role of Congolese students in the adventure of the Situationist International during the mid-sixties, both in Paris and in Brussels. In May '68, one of them composed a protest song in Kikongo, one of the Congolese languages. Found in the archives of the Belgian situationist Raoul Vaneigem, this previously unknown composition has been revisited, through Meessen and its author, Joseph Mbelolo ya Mpiku in Kinshasa. Set to music by young local women in the legendary rumba club Un Deux Trois, the composition renewed the possible signification of social struggle while a popular uprising was violently repressed at the time of the shoot. Resurfacing buried memories, other works in the exhibition problematize the reification of May '68. Rather than a reiteration of a mythology confined to the Latin Quarter of Paris, other major uprisings that took place in Dakar and Kinshasa are at play here. In both cases, Vincent Meessen is interested in the unique itineraries of young African intellectuals who directly or indirectly crossed the Situationist International – that “specter that haunts the world” which left a mark equally radical as indelible on the world of ideas and forms. 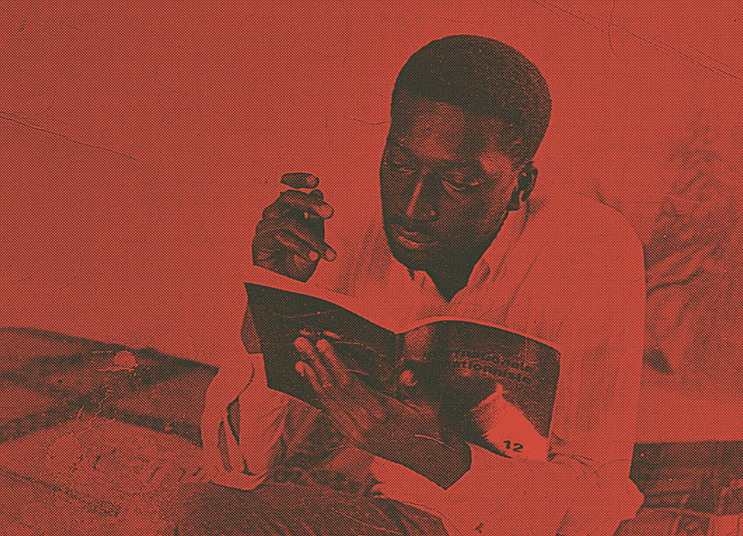 A photograph of a young Senegalese student reading the latest issue of the Situationist magazine accompanies the visitor to Dakar. One of the works especially conceived for this exhibition is Juste un mouvement, the first stage of a ‘film in the making’. The formula is Jean-Luc Godard’s, and unpacks La Chinoise. In this 1967 film the same young student, Omar Blondin Diop, played himself, a Maoist revolutionary. Meessen takes Godard’s fiction to witness and asks whether this scenario didn’t become reality in Dakar, in 1971. That year, members of the group of the ‘Arsonists’ (Incendiaires), were sentenced for an attempt to attack the presidential convoy of the Senegalese President Léopold Sédar Senghor and his childhood friend, the French president Georges Pompidou. On the occasion of the exhibition, Vincent Meessen has edited the publication The Other Country/L'Autre Pays, published Sternberg Press (Berlin) and WIELS, contemporary art centre (Brussels), in collaboration with Centre Pompidou, Musée national d'art moderne (Paris) and with the support of art & recherche asbl and Jubilee. Round table discussion with Catherine David (deputy director of Musée national d’art moderne, Centre Pompidou, Paris), Dialo Blondin Diop, and Vincent Meessen.